Asda must inject some emotion into the brand and not be quick to dismiss tactical sales gimmicks to turnaround its fortunes, argues Simon Hathaway, president and global head of retail experience at Cheil. 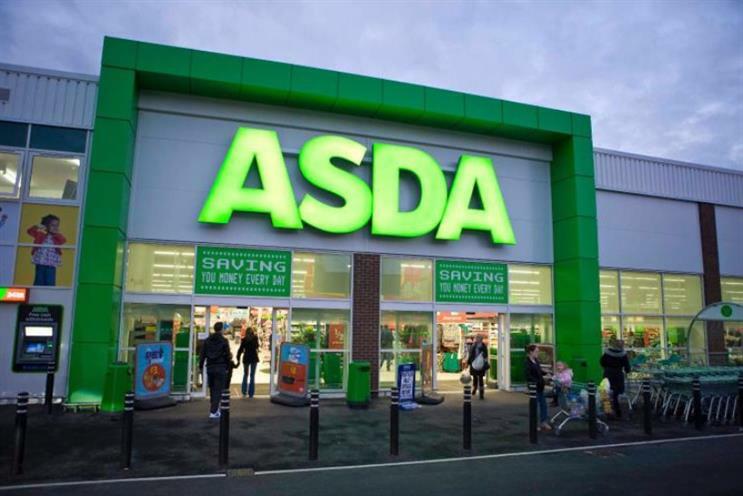 Given the doom and gloom surrounding the UK supermarket sector, it seemed highly appropriate that Asda cited the weather when explaining its first quarter downturn in sales. The retailer blamed, among other things, "customers saving for a rainy day" rather than splashing their disposable income, for its 3.9% decline in like-for-like sales. Clearly that’s not the whole picture. Andy Clarke, the Asda chief executive, mentioned "unprecedented" moves in the supermarket industry that have impacted performance. And moves in the wider economy will have made an impression too. Asda’s results came on the same day that UK inflation turned negative for the first time since 1960, which has had an undoubted impact on food prices and on retailers’ income. Asda isn’t alone in feeling the pressure. Rivals Tesco and Sainsbury’s have also faced the challenge of responding to the emergence of so-called "discounters" Aldi and Lidl, with better value of their own. Asda however, Clarke implies, won’t keep dropping its prices. He said today: "We won’t buy short-term sales at the expense of long term profitability," while providing the outline of a five-year plan. Details on strategy were scant and Asda talked-up a relatively small investment in customer service, with trials of "intelligent" Click & Collect pods in commuter belts and high street locations (though this wasn’t strictly news, Asda had previously talked about this extension to its home shopping offer last year). But this tinkering might not prove to be sufficient to improve Asda's fortunes. There are far bigger issues relating to Asda’s customer focus, its brand and its store strategy, which need to be addressed. Asda can undoubtedly learn from the likes of Aldi and Lidl, which have managed to achieve simplified assortment of products, which don't paralyse shoppers through choice, and also enable them to lower their own cost base. Aldi and Lidl stores are almost entirely "debranded" spaces, with brands largely stripped out from the shopping environment. But both retailers have invested in building their own brand equity through emotional advertising. It seems strange that Asda and the likes of Tesco and Morrisons have yet to follow suit. Especially in the case of Asda, because its Walmart parent has successfully built an emotional connection with US shoppers. Walmart's advertising, handled by Saatchi & Saatchi, focuses on social issues, such as how the brand is helping to rebuild the US by creating manufacturing jobs. Another campaign, which rolled out last month, encourages shoppers to help Americans struggling with hunger. Asda needs to tap into this in order to It also needs to inject some emotional meaning into its brand before the dark clouds permanently set-in. Like other major supermarkets, Asda will also need to face the challenge of moving to a more flexible model away from "big box" sites with a greater emphasis on convenience. Asda is looking to address this with initiatives such as the Click & Collect, which focus on "giving customers what they want". But does Andy Clarke know what they want? Arguably what customers want is value, which they're now getting from discounters and from other competitors who deliver vouchers and till point coupons. Clarke is right to talk about customer focus but Asda needs to sharpen this considerably if its fortunes are to improve. Every time I shop at Sainsbury’s I get a receipt telling me how much cheaper than Asda my shop was. Asda may has criticized such schemes as short-term gimmicks but it needs to face facts – customers like these "gimmicks".